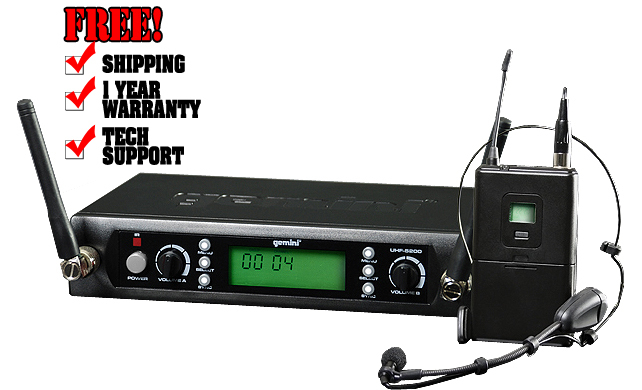 Gemini's UHF-5200HL Dual Wireless Headset/Lavalier System provides clear, accurate vocal reproduction without the burden of cables, ensuring wired limitations never force you to sacrifice passion or energy during a performance. Ideal for DJs, presenters, fitness instructors, singers, MCs and anyone seeking a high-quality wireless headset or lavalier solution, the UHF-5200HL offers superior reliability, ultra-clear reception and an amazing amount of operating frequencies at a completely affordable price. Crystal clear reception with frequencies to spare. Two wireless solutions in one package. For outstanding versatility, the UHF-5200HL includes two comfortable and convertible lightweight headsets with detachable lavalier microphones. So, whether you're leading a spin class or giving a presentation, this system has you covered. 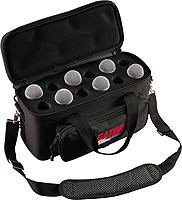 And to ensure exceptional audio quality, the UHF-5200HL's professional-grade microphones employ condenser elements with cardioid polar patterns and include foam inserts to reduce wind noise and popping. The discreet belt pack transmitters also provide convenient Power/Mute buttons and run on two AA batteries with up to eight hours of battery life. Why restrict your performance with wires when the UHF-5200HL gives you total freedom of mobility? Ditch the cables and let your natural energy electrify the crowd with this high-quality wireless solution.